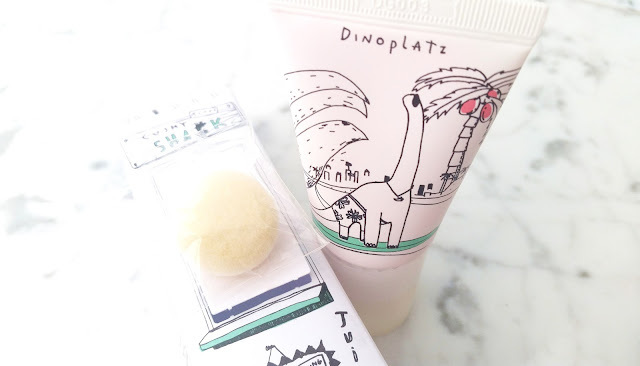 Today, I want to share my review of the Too Cool For School's Dinoplatz Cushy Blusher. I got this blusher last year but I didn't get to try it out until a few months ago. Powder blushes have always been what I used because it's what I have and it works. So I didn't really branch out to try other blushes. However, back when I made that haul I made a spur of the moment purchase on this cushy blusher, so here we are. Since I have it now, I might as well use it. After testing it out, I couldn't believe that I didn't try it sooner. Curious about how I feel about this product? Let's get to know it! Product Description: The Too Cool For School Dinoplatz Cushy Blusher is a natural-looking blush that comes in 3 shades. This is a liquid type blush stored in an easy to use tube with a puff applicator. The blush has a hydrating formula and a soft texture, making it easy to spread and blend. To Use: After applying base makeup, squeeze the tube and dab a moderate amount onto the cheeks. Blend it out using the cushy applicator. If this blush is used before powder, the blush will provide a soft and natural look. If it is used after powder, it will create a more vibrant glow. Tip: the blusher comes with a replaceable applicator. 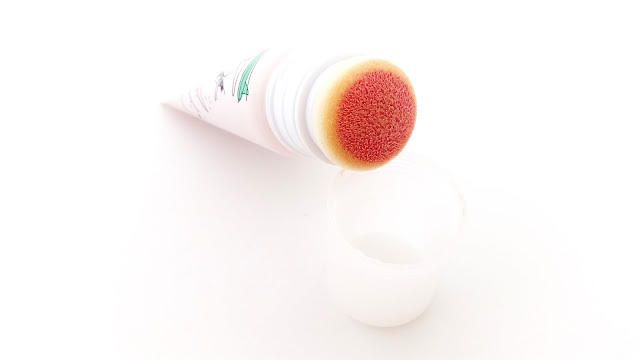 To replace the applicator, pull the front part of the puff to separate it from the tube. Take the new applicator, press and twist it onto the tube. Ingredients: Water, Cyclopentasiloxane, Dimethicone, Silica, Isododecane, Talc, Dipropylene Glycol, Dimethicone/Vinyl Dimethicone Crosspolymer, Peg-10 Dimethicone, Isodecyl Neopentanoate, Vinyl Dimethicone/Methicone Silsesquioxane Crosspolymer, Disteardimonium Hectorite, Magnesium Sulfate, C12-14 Pareth-3, Phenoxyethanol, Titanium Dioxide, Acrylates/Dimethicone Copolymer, Ethylhexylglycerin, Tocopheryl Acetate, Aminopropyl Dimethicone, Polymethylsilsesquioxane, Fragrance, Alumina, Rosa Damascena Flower Oil, Chrysanthemum Indicum Flower Extract, Lilium Candidum Flower Extract, Red 30 Lake. 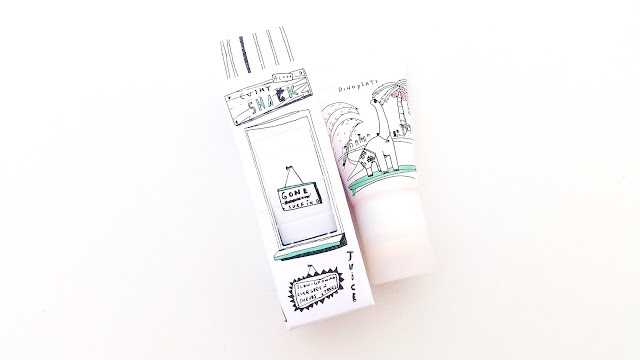 Packaging: The cushy blusher comes in a squeeze tube with a puff applicator and a twist-off lid. The product is designed with the Dinoplatz theme, which we will talk about in a minute. The packaging has some information about the product. 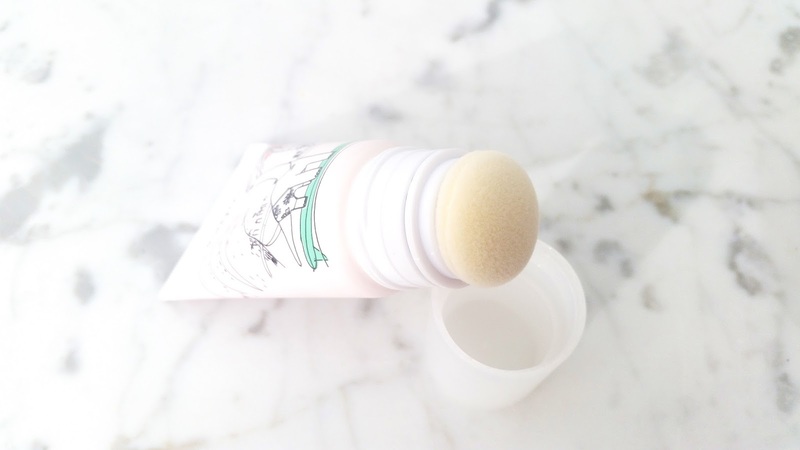 Aside from the blusher, the product also comes with a replaceable applicator. Another product from TCFS's Dinoplatz line! The Dinoplatz line was created by Hatori Sando who is friends with TCFS's creative director. They have been collaborating together for many years on the Dinoplatz line. The Dinoplatz design shows dinosaurs roaming around the modern forest of New York City, where buildings replaced trees. Some of his designs also features New York's landmark buildings. Scent: The blusher has a rosy floral scent as it contains rose oil and other floral extracts as well. Fragrance has also been added to the product, however, it's not overwhelming. Instead, it's quite mild and lovely. Color: There are 3 color choices for this blusher. The one I have here is #3 Lava Martini, which is a rosy pink color. The other 2 colors are #1 Beach Break (a warm tone peach color) and #2 Surf's Up (a bright pink color). Texture: The blush is in a liquid like form. It's easy to spread and blend. Michelle's Thoughts: I purchased this blusher as part of my TesterKorea haul. It was a spur of the moment kind of purchase and honestly I can't remember why I decided to get it. However, I'm glad I did because I really like it. The cushion trend has become huge all over the world. All sorts of brands are making their own cushions now and their variations of cushion products. Like did you know The Body Shop makes cushions foundations too? I just recently found out. Or that there're cushion eyeliners, cushion bronzer, and even cushion blotting paper? Yeah, that last one had me like O.O/ Who'd think that in just less than 10 years, the cushion trend would become so big that practically every beauty product has its own cushion variation. I'm sure Iope, the company behind the first ever cushion product, never thought it could become this big. I'm glad it did become this big because it pushes companies to try new formulations, improve their product's quality, and create new products based on this technology. Okay, I went off track there a little let's bring it back to the Cushy Blusher. I like this Cushy Blusher, but it could be improved in some areas. The shade I have here is Lava Martini, which is a rosy pink color. As you can see in the swatch below, the color is there but light. That's just one layer and it creates a natural look. I can easily layer the product to create a more dramatic color, however, on a daily use the below version is fine for me. The formula of this blusher is good. The product is in liquid form, it spread easily, and blends smoothly. However, it lacks a little in its lasting power. If I'm lucky, it lasts about 4 or 5 hours. However, I'll always have to touch up. On the up side, at least it's pretty easy to touch up. Another flaw of this product is its packaging. Finding the happy medium of how hard one should squeeze the tube to get the product out without over-squeezing it and getting too much product can be hard. Sometimes the product can take forever to come out while other times one accidental hard squeeze could bring out too much. I wish there could be a better way to allow the product to be dispensed onto the puff applicator and also to control how much product comes out at once. Final Thoughts: Despite its packaging flaws and its not super long lasting formula, I still really like this cushy blusher. The color is perfect for me. It's natural enough for daily wear and if I want to, I can easily layer it to create a more dramatic color. The blush's hydrating formula feels nice on the skin and blends smoothly as well. I like the rosy floral scent as well. Plus, it's travel friendly and I can easily bring it around with my for touch-ups. Would I repurchase it in the future? Possibly. It would be nice if TCFS could fix the packaging flaws. However, I like the color enough that I would probably get it again. Unless, I find another cushion blusher that works better. Do I think it's worth a try? Yes. The concept of this product is great. It's great for travelling, on the go touch-ups, and it comes with a build-in applicator. The formula is good and the product blends smoothly into the skin. It's worth checking it out.